You are here: Home / Marketing / What does a wedding planner do? 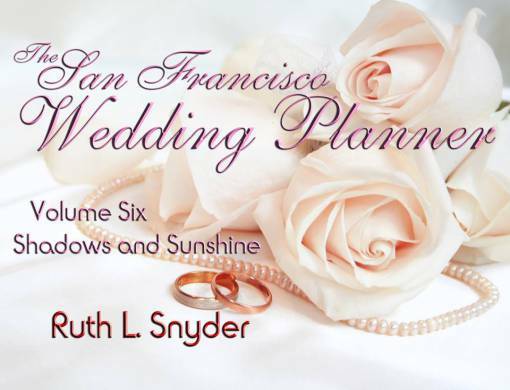 Last week my story, Shadows and Sunshine (Volume 6 of the San Francisco Wedding Planner series 1) launched. It is currently available for Kindle on Amazon.ca and Amazon.com. Later this month the whole series will be available as a single Kindle or paperback book. Remind bride, groom, and other participants of obligations, appointments, etc. Wedding Planner’s Handbook: A step-by-step guide to becoming a wedding planner. Note: This post was added to the StoryDam Blog Hop. If you’d like to participate, add your post using the link in the far right column. Aloha Ruth, We have a lot of wedding planners in Hawaii. I’m always curious about what they do, especially the unofficial things, like help people get over arguments or deal w/ difficult personalities. I was confused about your story that you mentioned, is it fiction, nonfiction? I know I could check on the link but it’d be helpful to give a little teaser too.